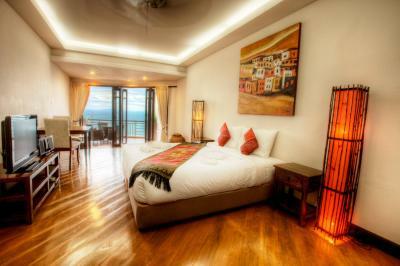 Lock in a great price for Sunset Hill Boutique Resort Koh Phangan - Sunset Viewpoint – rated 8.3 by recent guests! It is a perfect hotel, the room is very comfortable, the pool view ia incredible, the restaurante is very good also with an amazing view. Amazing stay!! We had a hotel nightmare the previous night which led us to sunset hill, who saved New Years! The rooms were comfortable and clean, definitely took advantage of the room service. The pool and bar areas set the tone for relaxation. Great food and drinks with even better views. Make sure to ask for Mooke, he makes the best cocktails! Far from the full moon beach but the hotel offers van shuttle services, not too costly especially when grouping with others staying here. I wish we could have stayed here much longer! Do yourself a favor and stay here! Locations was good, views if you get a room with views is very nice. The staff was very friendly, hospitable, and accommodating. The views were impeccable and the food was awesome.. best pad thai I've ever had! 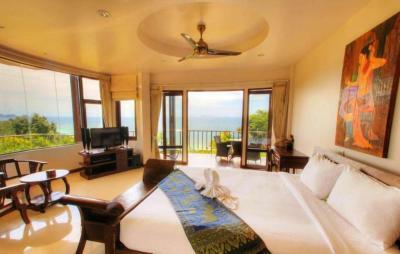 Quiet resort with stunning sunset view, amazing food and beautiful rooms. Helpful staff and service standard above the other hotels in the neighbourhood. 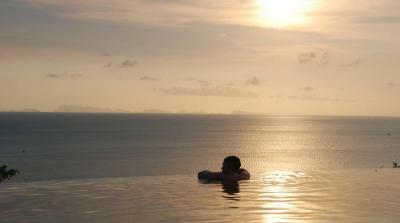 The infinity pool looking over the sunset... it's relaxing and romantic. The food at the restaurant is great for money. Breakfast was okay. The view from the balcony was also very pretty. Staff are all very nice and helpful. Especially the female staff when we checked in has great English and hospitalities. (tall and long hair) The location is pretty far from Bantai or Haad Ryn but we wanted to be far from the busy areas so it's fine. Also it's close to Haad yao beach and salad beach which are better than Secret beach. 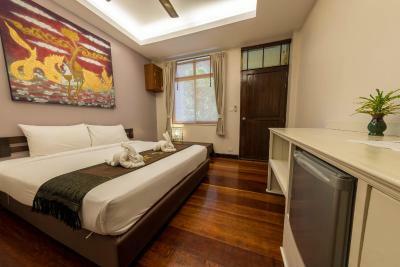 Sunset Hill Boutique Resort Koh Phangan - Sunset Viewpoint This rating is a reflection of how the property compares to the industry standard when it comes to price, facilities and services available. It's based on a self-evaluation by the property. Use this rating to help choose your stay! 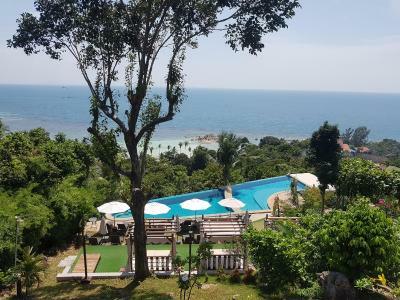 Sunset Hill Boutique Resort Koh Phangan - Sunset Viewpoint sits atop a tropical hill overlooking Koh Phangan's west coast and enjoys panoramic sea views. 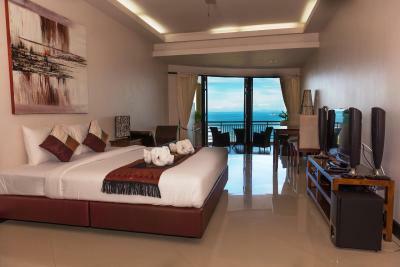 It offers an outdoor infinity pool, free WiFi throughout and spacious accommodations. 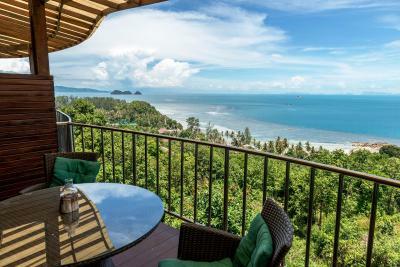 The property is located 1,150 feet from Haad Chao Phao and Secret Beach and a free shuttle service is offered to these locations throughout the day. Thongsala Pier is a 15-minute taxi or motorbike ride away. The luxurious accommodations at Sunset Hill Boutique Resort feature flat-screen TVs, DVD players and home cinema systems. 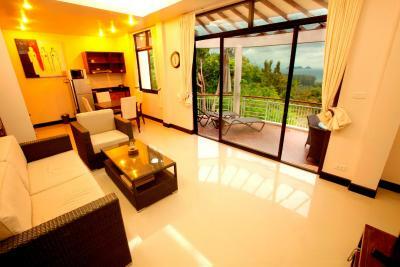 Most rooms also have a terrace offering views of the sunset or greenery. 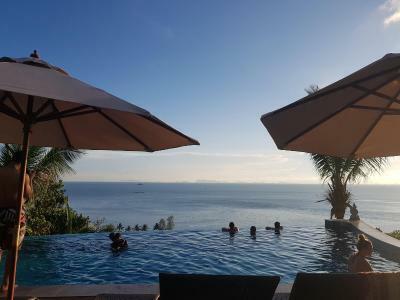 Guests can relax in the resort's signature pool and enjoy views of the Gulf of Thailand. Free parking is available. 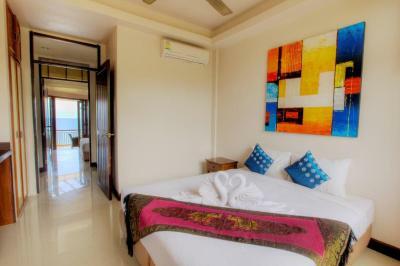 The resort also offers a tour desk which can assist with transfers, various island tours and diving courses arrangement. 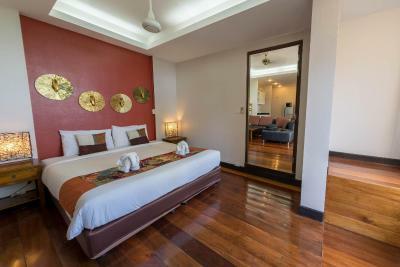 Yoga classes and wellness packages as well as massage services can also be arranged at the property. Offering panoramic sea view, The Viewpoint Lounge serves Thai and Western cuisines as well as a variety of drinks including coffee, cocktails, and wines. The pool bar is an ideal place to relax and witness the stunning sunset. 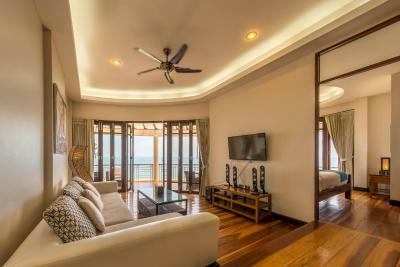 This property is also rated for the best value in Haad Chao Phao! Guests are getting more for their money when compared to other properties in this city. 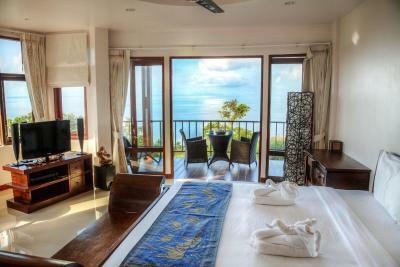 When would you like to stay at Sunset Hill Boutique Resort Koh Phangan - Sunset Viewpoint? 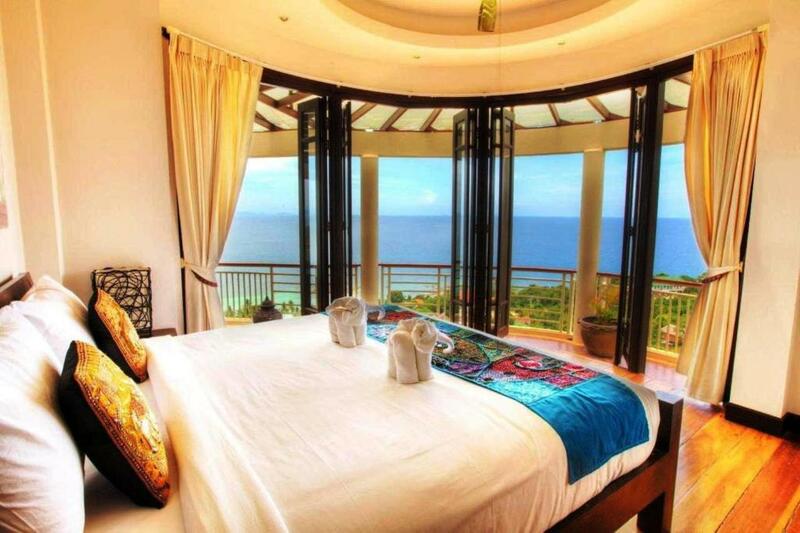 This 55-sqm room opens up to a spacious terrace with partial views of the sea. 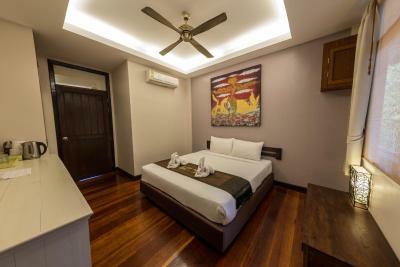 The air-conditioned room features an private bathroom and a living area. A flat-screen TV, a music system and a fan are also provided. Offering a romantic getaway, this 65-sqm corner suite features a wrapped-around terrace with stunning sunset and views of the sea. It comes with a large bathroom, a dressing table, a flat-screen TV with a music system as well as WiFi. The 130-sqm 3-bedroom apartment offers views of the sea from the master and the second bedrooms and views of the gardens from the third bedroom. Two private bathrooms come with shower facilities. There are also a kitchenette and a seating area. 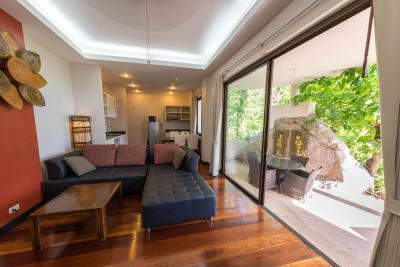 The apartment is also fitted with a private rooftop terrace with a Thai style pavilion and a plunge pool. 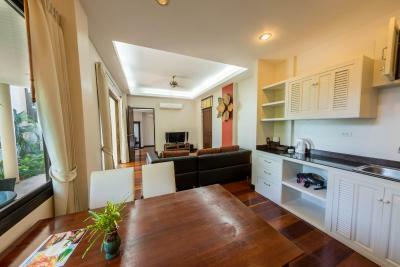 This 125-sqm penthouse features two bedrooms with private bathrooms, a cozy living room and a kitchen. 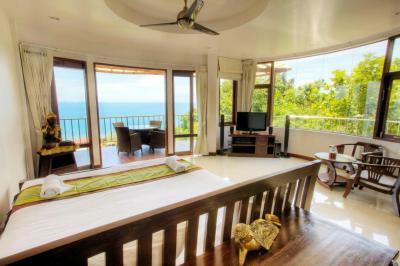 The master bedroom and the living room boast panoramic views of the sea. The floor-to-ceiling folding doors open to a spacious terrace facing views of the sunsets. 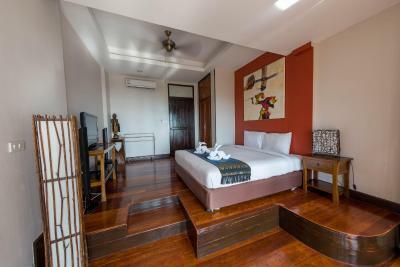 This room features up to 40 sqm of living space and opens up to the patio with views of the lush garden.This patio features a seating area for guests to relax in and a setting for a private dinner or sunbathing. The room is fitted with air conditioning as well as a fan. Connecting rooms are also available. 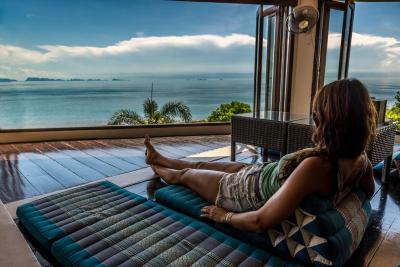 Boasting spectacular sunsets and panoramic sea views from its private terrace, this suite offers a cozy bedroom with a living area and a work desk and a terrace fitted with a table and chairs that invite guests to relax and enjoy the breeze of the Gulf of Thailand. 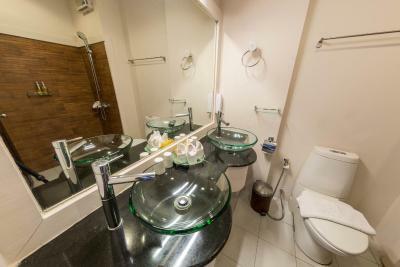 This suite is complete with an private bathroom, a flat-screen TV and a fan. It also comes with a music system and WiFi. 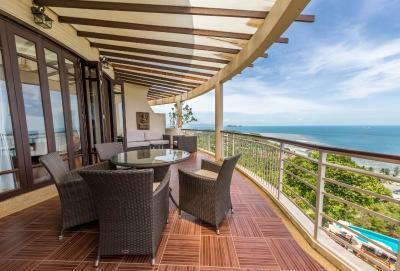 Perfectly fitted for families or a group of friends, this 55-sqm two-bedroom apartment features a well-appointed master bedroom with partial views of the sea. 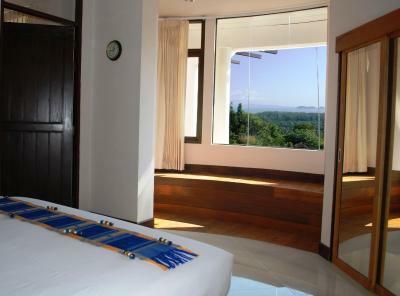 The second bedroom features views of the forest and greenery mountain. The unit comes with an private bathroom and a flat-screen TV with a surround sound system. 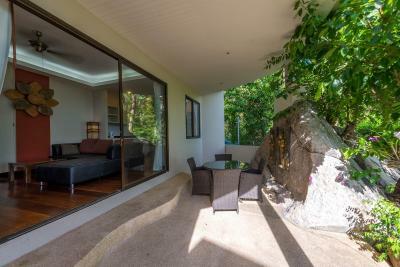 Boasting views of the lush gardens, this unit offers a well-appointed room fitted with an private bathroom. It is also fitted with air conditioning, a flat-screen TV with a surround sound system and WiFi. Connecting rooms are available. Sunset Hill is founded by a Dutch Family and opened its doors in 2009. 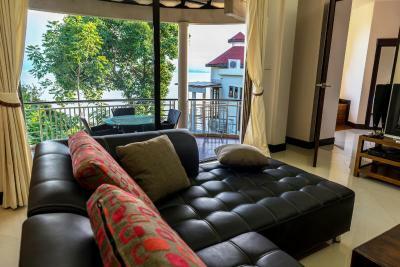 Our resort is unique on Koh Phangan because of the spacious apartments with stunning panoramic seaview and our beautiful gardens and fluent English speaking staff. 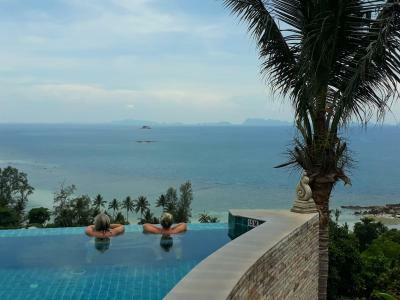 House Rules Sunset Hill Boutique Resort Koh Phangan - Sunset Viewpoint takes special requests – add in the next step! 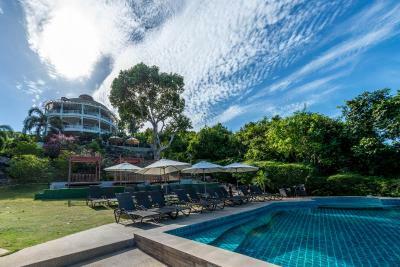 Sunset Hill Boutique Resort Koh Phangan - Sunset Viewpoint accepts these cards and reserves the right to temporarily hold an amount prior to arrival. 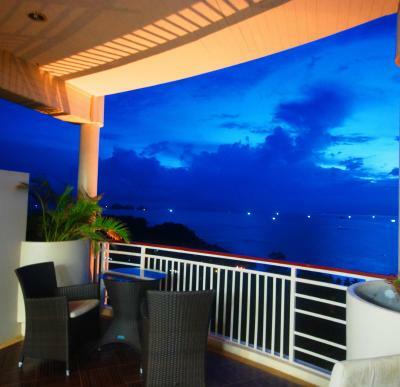 The property can arrange a transfer from the Thongsala Pier or Haad Rin Pier to the resort at additional charges. On Full Moon Party nights, the property can also arrange a shared taxi to Haad Rin at additional charges. Guests who wish to use this service are requested to inform the property of their arrival details at least 24 hours before arrival. The pools were lovely. Friendly staff. Food was good. I didn’t discover anythingI didn’t like! The bed was the kind of comfort I always look for,soft and spacious! The style of the place was beautiful,the buildings,pool and gardens, The conference room was well positioned with great ocean views and good facilities! The whole Resort is amazing! I loved my stay at this wonderful hotel! Amazing staff Amazing location Amazing pool Amazing sunset Amazing full stop! Shelves in room above eye level very dusty, not suitable for any person with walking difficulties. Should be made clearer on information of location. The views. And very friendly staff. The swimming pool and views from it fabulous. We travelled with 5 months kid. We lived in Jasmine 04 room. Best view point to the sunsets. Very helpful staff. Clean and nice swimming pool. Definitely we will be back. Infinity pool is amazing, and the food was amazing! Overall good value for money! Shame they close the pool bar as soon as the sun sets! We ate dinner in their restaurant one night but it was completely empty so no atmosphere unfortunately but despite only us to cater for, the service was slow and we kept having to go up to the staff to order food/get more drinks/ask for the bill. They could have made way more money from us but it didn't seem like they wanted to! Really couldn't fault the food though. View from the pool was incredible. Poolside in general was amazing - worth staying here just for that! Staff were all really pleasant and the room was nice and clean. Really good margaritas! The way to the hotel is not really flat, you have to 'climb' a bit, but with a motobike no problem. A very nice hotel with beautiful view and location is good; but you have to hire a motobike in order to be very flexible. The hotel is clean, employees are nice and helpfull. This part of the Island is very laid back (it is called the spiritual part of Phangan). Terrible wi-fi. Had to use 4G most of the time. 1 sq meter spot in the apartment where we could connect . The managament did give us a little discount on other fees to compensate. Which was good and we are grateful.. The breakfast buffet is very limited. 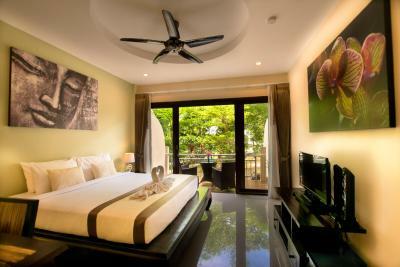 And costs 300 baht per person,. not per room. So 600 baht for two people for a cup of coffee and toast. Almost no cutlery in the rooms. Not even 1 sharp knive to cut lemons. clening and new towels every day. Pool super nice. Easy to rent bikes. Plenty of free cold water in canisters. Laundry service quick and reliable. Management amicable and willing cooperate. 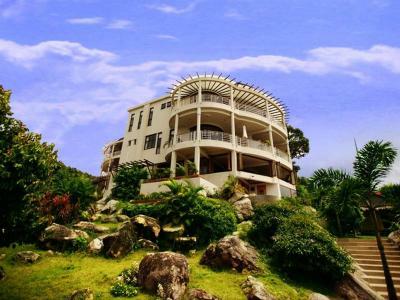 Beautiful spot and view over NW-coast, Short distances to excellent beaches. The hotel is oriented to details. We were pleasantly surprised to see an umbrella and beach bag in the room. The infinity pool has a stunning view! Unfortunately, the air condition was very strong and no one could fix it and there was no other available room to shift us. This year there was no morning yoga on the rooftop. Last year it was every morning and it was included in to the room price and it was amazing!! Actually this was the reason why we choosen this hotel this year. And as there was no yoga this year tah made us sad:( And the pillows in the room are to big and hard:)!